Sometimes you have to look back and remind yourself of all you've done in the last few months. Besides moving tons of furniture around and redoing the LR, FR and Mstr. Bdrm, I did a lot of cleaning.This last year I have really tried to purge and get things in order in this tiny house. We have limited storage, so I decided that I needed to get rid of tons of "stuff" and find a home and organize the space I do have. I started with the bathrooms. They can really get out of control if you don't pay attention. This is our hall bathroom, and as you can see there are no drawers, just two doors with a big huge open area that really became a mess. See what I mean. Since I don't use this bathroom, I just never opened the doors to see all this. Things were just thrown in here and I never even noticed. It started out that there were a couple of small plastic bins, and then things just overflowed. Such a disgusting mess. $20 later and a trip to Walmart and this looks amazing. I would really have liked to have clear bins, but beggers can't be choosy and this stores everything in a neat and orderly manner. Now I can find something if we need it, and if a guest opens the door I won't faint. 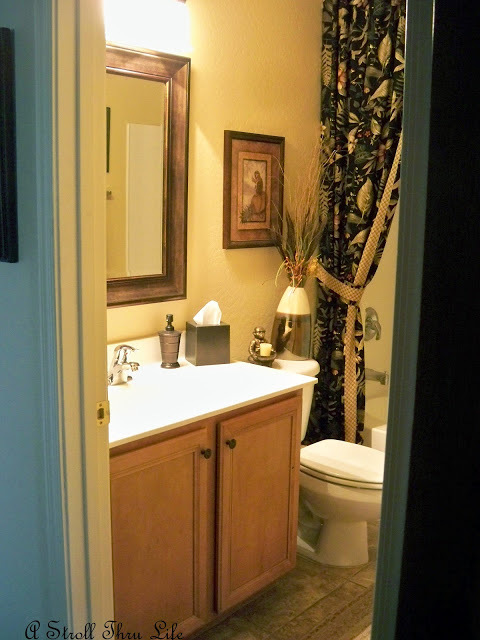 Next came the Master bathroom We have two doors on each side of three small drawers in the middle. The same problem here, big open space full of clutter. I didn't take a pic of this side before, but it looked just as bad as the hall bath. This is my side. 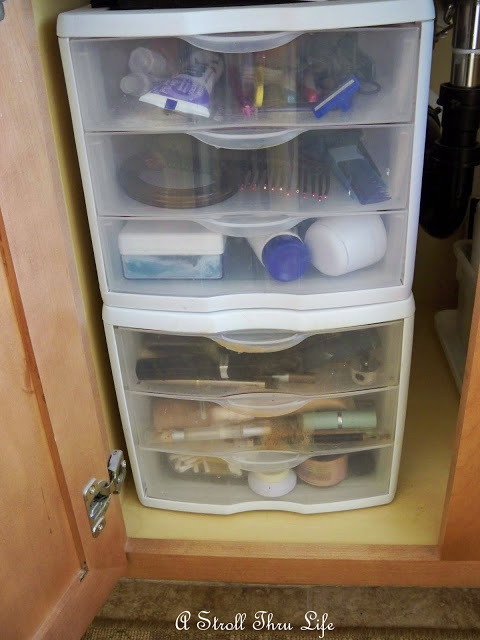 I used two of the small drawers stacked on one side to hold all of my makeup, creams, toothbrush, combs and etc. The other side just one tub to hold all the bottles and hairspray. These small bins are pefect for all the small things and so easy to organize the makeup. So tiny it is almost impossible to store anything in here in a decent manner. Out came everything and I threw away a ton of old towels and sheets. Then I rearranged all the things that we were currently using and now I can actually find a set of towels when I want one. All the sheet sets got folded and placed inside the matching pillowcases and they are so much easier to see and store. The last thing was purging a ton of accessories and finding a home for what I wanted to keep, plus putting it all in one place so I could find it. This isn't pretty, but I had the shelving and the cupboard, so this is the corner of the garage where I am storing all of my "stuff". 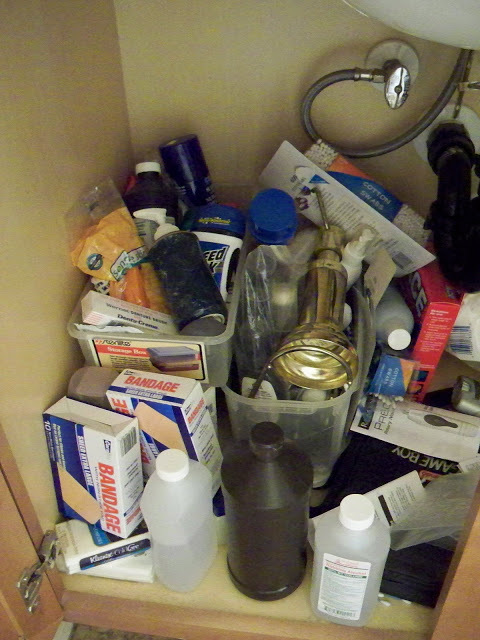 Most of the glass things (cloches) and breakables are in the door cupboard, the shelves hold tons of other stuff. This is also where I store my cleaning bucket, mops, broom and vacuum. The bins hold pillow covers and faux flowers. I purged 3 car loads of things that I either gave to friends or took to GW. Now my car fits in the garage, and that is fabulous. It would be wonderful to have a huge basement or even built-in cabinets in the garage, but since I don't this is a great solution for now. So much easier if there is a place for everything. So have you been organizing and cleaning this year. Seems like I have seen a ton of you creating really fabulous storage spaces. You guys always inspire. Lets just say I had good intentions. :-D I did not accomplish what I had planned. Marty, what a wonderful post! You have me inspired to go organize. 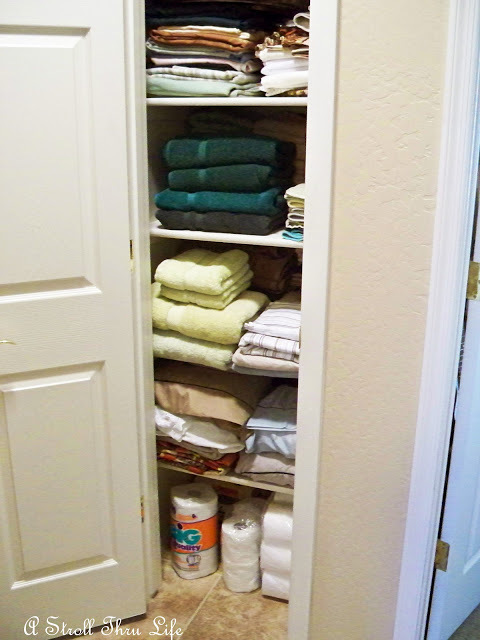 I have one of those "tiny" linen closets, too. It should be against the law to allow those to be built! Have a great day! I'm not nearly as neat and organized as you, Marty, but I am working on it. 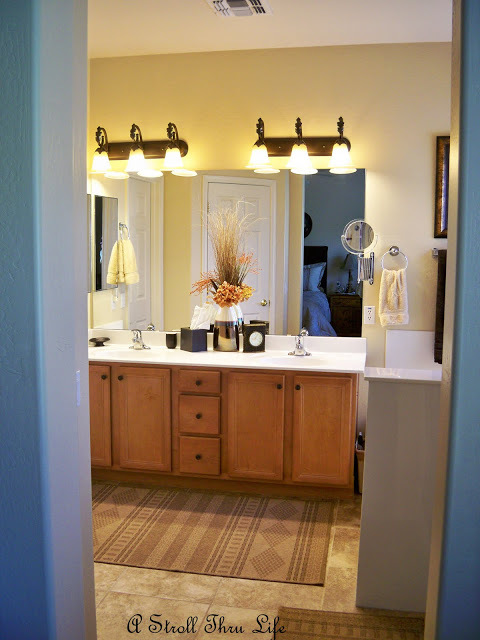 2 more closets and the laundry room and maybe I can post some pics as pretty as yours..
hugs and I answered your comment via email..
WELL DONE, Marty! Especially happy you shared your before - and you have truly inspired me to get busy and start purging. Yesterday The Kidney Services Foundation came with a truck and picked up a few boxes of ours to donate- so it's a start, anyway. I couldn't even EVER show my basement (not hoarder dirty but hoarder amounts, if that makes sense.) At least to a clean freak like me it seems hoaderesque. Love your organization, and it will be easy to keep it that way b/c now you have a place for everything! sonny said "my stuff seems to give birth to stuff when I'm not looking." that is so true and so hilarious. Your cabinets look great! I bet you love it every time you open one. Well done Marty! Marty that looks amazing... I'm also doing that... but where do you find all your energy? My guest bathroom has the same vanity set up, Marty. 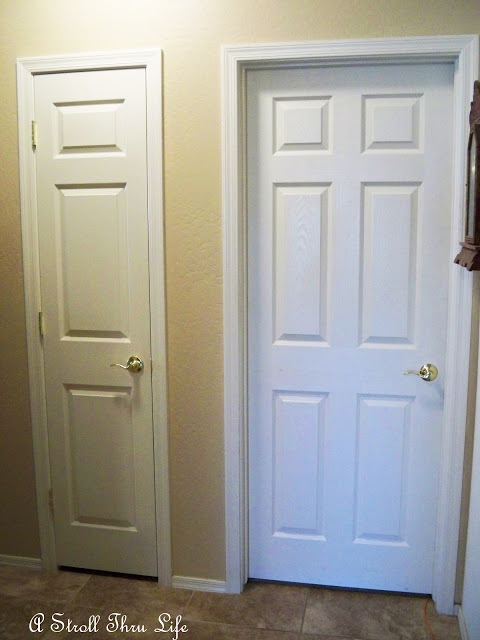 Just two doors, no drawers. 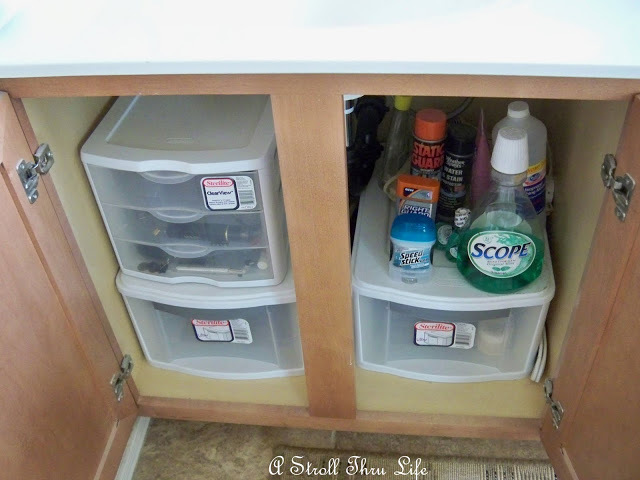 What a great use of that space those drawer organizers are! I am going to have to copy this. We don't have a ton of things in there, but I feel like that space could be used more effectively if you could use all the height that is under there. Looks so great Marty!! Doesn't it feel great to get all organized!!! You're an inspiration! Believe me, Marty...you don't want a big basement! I have one and even have shelving units but I couldn't even tell you what we have stored down there! I think the more space you have, the more you clutter. When you have tight spaces, and I do because my home is tiny, you keep things orderly and tidy. 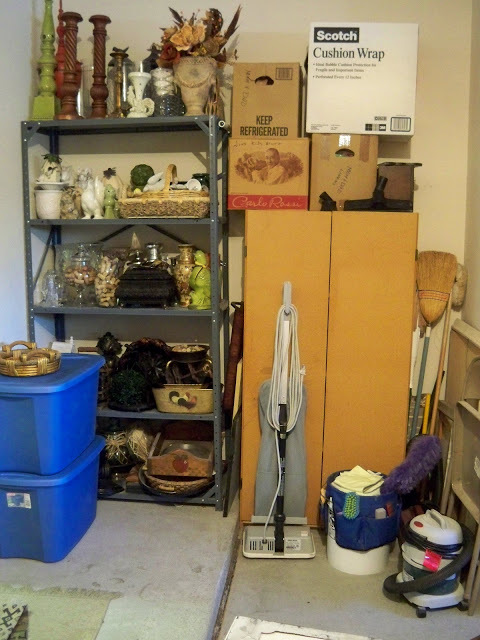 I shudder when I think of purging my basement! You have inspired me to clean out my bathroom cabinets. 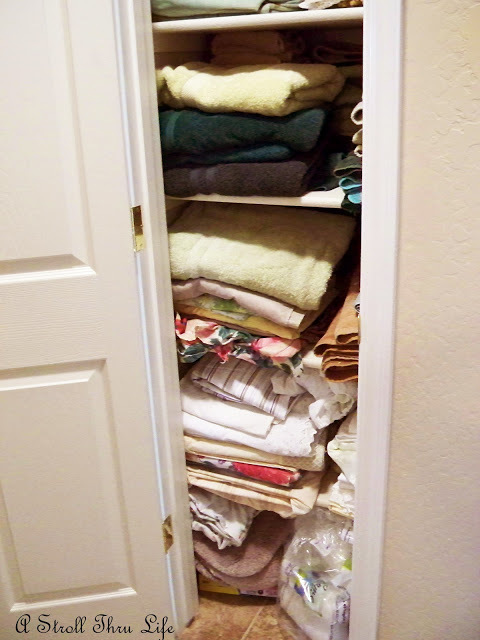 They overflowed and I started storing things in the linen closet, which is cramped, too. I need to get storage bins. Thanks so much for lighting the fire under me! You did a wonderful job! Marty, Everything looks great! 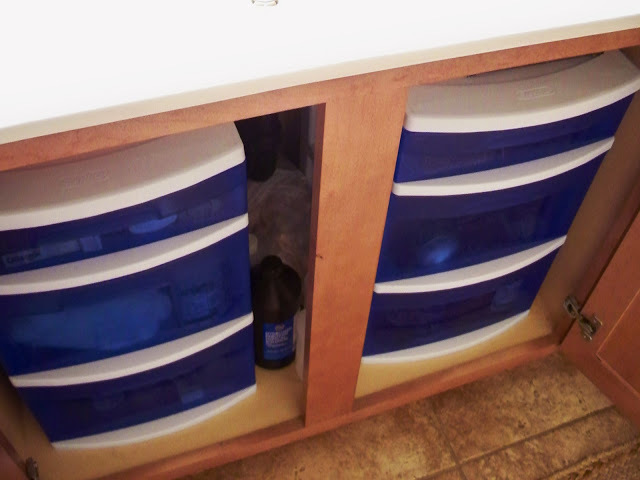 I did some organizing, but I need to "re-do" some of it, mainly in the kitchen. My pots and pans get in such a mess. You've inspired me to get with the program! Hope your Sunday is great! Marty, your closet storage is awesome. I gleaned some great ideas from you! I have been doing some organizing around our home as well. I had never thought about storing the sheets inside the matching pillow cases. This idea I will definitely put into place. I have mostly been working on our kitchen drawers. I threw a bunch of stuff out and took some to Goodwill. Great job Marty, I love that you showed the before and after. Everything has a spot now and it must be easier for you. Isn't it great to have it all done? I do the same thing, but ALL the time. If I open a cupboard or a door to a closet or something like that, I get busy purging and throwing away things and re-organizing. Sometimes, I just decide TODAY is the DAY for that ______ (fill in the blank). I have the entire house done AND the garage. It seems hubby ALWAYS stores and squirrels away a MOUNTAIN of junk in the garage - stuff we won't use and I certainly don't want. We don't have an attic or a basement to store stuff in...so it's just the cupboards, closets and the garage for us. Thanks Marty, good organization tips. I need to do the same under my bathroom cabinets. I may even have some drawers like these to use or I can always make a Walmart run. I get just as excited about a newly organized space as I do decorating. It is such a relief and allows you to relax. I think it feels so good to know that our home is in order. Thanks for the motivation to get after those bathroom cabinets. 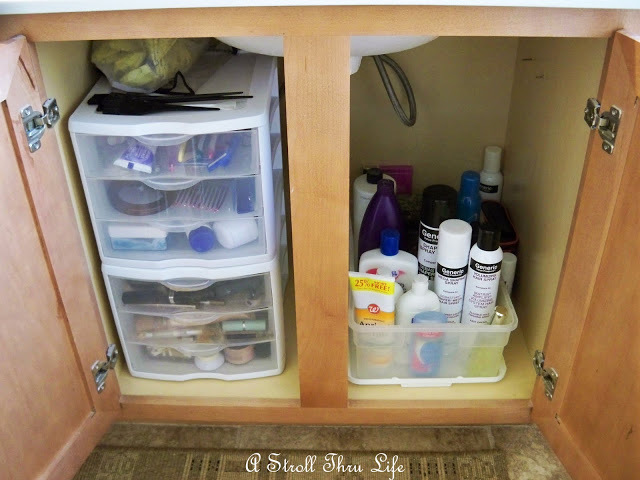 I L O V E your storage solutions for under the bathroom cabinets!!! I've been re~organizing this past week, also! Life gets busy...so now is the time to clear out the clutter and re~organize for a more relaxing time during the upcoming holidays! A sturdy storage in attics can help people who have lots of things in their house. I usually put all the things that I am not using anymore in the attic so that is the best place to put storage boxes. Well! You were certainly a busy bee, Marty! You must feel so proud of yourself for getting all that done. I’ve done the same in my bathrooms, but have to keep a reminder telling me to check the contents of the drawers and get rid of due-dated and unneeded items every so often. I see that you have knick knacks in your garage that you don’t want to part with. I rented a self storage space for mine – would this idea suit you too?